Let’s talk personality types for a moment. I am the type of person that likes to get things DONE – almost to a fault. I don’t like strategy, I don’t like precision, I like blasting through brick walls because I get there (wherever there is) faster! Which is better, .. right? Almost every job interview I have had, when they get to the “weaknesses” bit, I quickly blurt out attention to detail. It’s not that I don’t care about details, it is just that there are so many other things to get done, that details get in the way! So I tend to be a tad lethal in the kitchen. Details schetails. So when I was asked to review a Christmas cook book, I obviously felt qualified. Now, before I show you what I made, let’s actually talk about the cookbook. 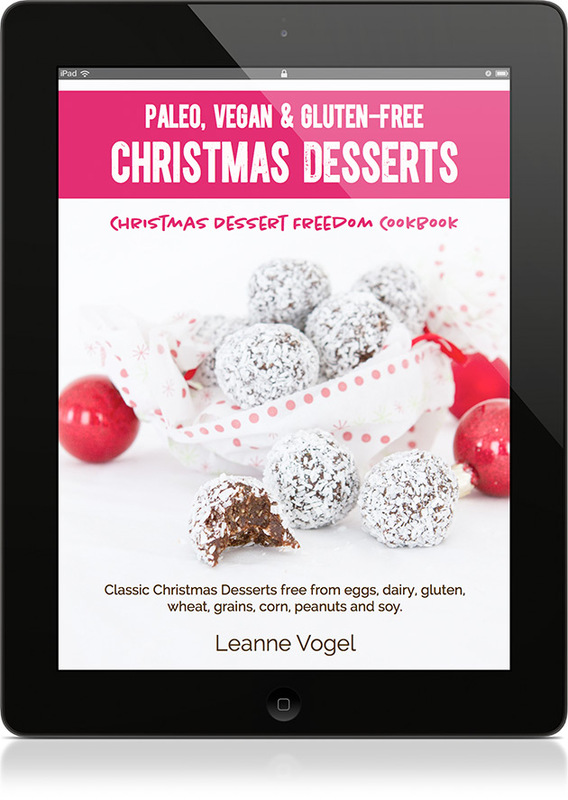 The Christmas Dessert Freedom Cookbook is your complete paleo, vegan, gluten-free, all-around good-for-you, allergy-friendly Christmas miracle. 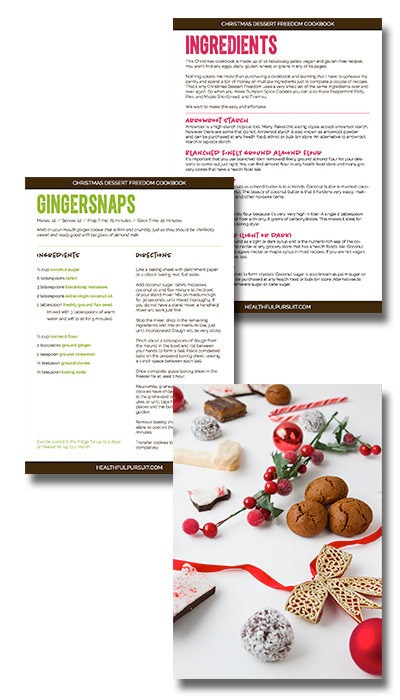 It is a 35-page, full-colour PDF digital/ebook with ten healthy dessert recipes for a guilt-free Christmas. …and more! Unparalleled to any other cookbook or Christmas dessert recipe you’ve come across. So…a recipe book of HEALTHY desserts? I am SO there. None other than the very beautiful and completely talented Leanne Vogel of Healthful Pursuit. She is a holistic nutritionist with an eye for beautiful food. I met her last Christmas at a vision board party (bloggers are nerds in the best possible way!) and I have been completely enamoured with her ever since. It was a Sunday night and I was prepping for a work Christmas event the next day. I had promised I would bake something and I decided that there was no time like the present to take on the Christmas cookbook. This maple short bread has but 4 ingredients – coconut flour, coconut oil, maple syrup and sea salt. And set the pan in the oven. Around the time that it was ready to come out, I peeked into the oven and my heart sank. 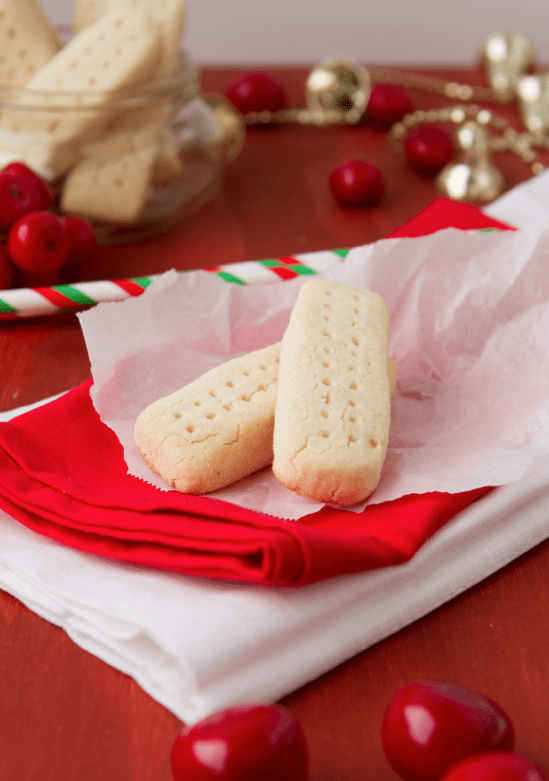 It would take a shortbread miracle for these little bits to look good for the party. I pulled them out of the oven to be met with wild laughter from my mother. I indignantly stuffed one in my mouth. Instantly, I was hit by a wall of maplely buttery goodness. And there wasn’t even butter in there. Fast forward to Monday afternoon with the Christmas party. 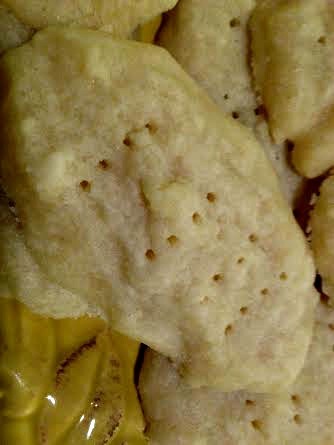 I carried a maple shortbread complex and thought my sad looking little shortbreads would be the laughing stock of my coworkers. They were up against huge, flour filled cookies and buttery beer brownies. Not only were they the first thing to disappear, but I had two people ask me for the recipe. So even through my lack of detail and baking prowess (thank your lucky stars I am not a food blogger), this maple shortbread still managed to steal the show. So if you are like me, and need a little bit of help in the kitchen, get this cookbook. It is super easy with only a few ingredients and they are healthy. Want to rock your Christmas baking or stroke someone off your Christmas list? I hate when normal healthy things make me want dessert. Honestly!! I do not understand. 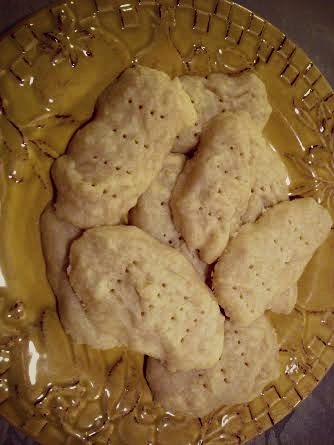 Simplest recipe and it is super buttery! Bahaha — everything will sort out in the oven. Oh, I’ve learned that the hard way, that’s for sure. But hey, at least they tasted good! And now you know, you gotta show that shortbread some LOVE before you bake it! <3 Thanks so much for this gorgeous review of my cookbook! Shortbread loving…Got it! 🙂 Here’s to a more successful round next time.